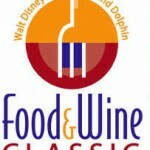 Foodie fans of Epcot’s International Food & Wine Festival will find more culinary delights at the Second Annual Swan and Dolphin Food & Wine Classic! Mark your calendar for October 7-8, 2011. This year’s beverage seminars include Riesling Rendezvous, Beer, Please!, Spanish Wines, Modern Mixology and Beer, Wine Blending, All Things Sake and Base to Bubbles. Offered each day from 4:30-5:30 p.m. These classes will be taught by certified experts in hour-long sessions. Award-winning restaurants from the Swan and Dolphin resorts will host tasting stations on the causeway between the hotels while live music entertains guests from 5:30 – 9:00 p.m. each day! Friday & Saturday: Find a wine you love at one of the booths? Make sure to visit the wine store offering bottles for purchase from each booth to take home. 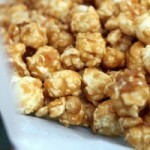 Want to stay near the eats? Click here for packages that include your accommodations as well as a wristband to enjoy full access to all the offerings! The Walt Disney World Swan and Dolphin are a short walk or boat ride from Epcot’s World Showcase or Disney’s Hollywood Studios. Conveniently situated near the Yacht and Beach Club and Boardwalk Inn resorts, you’ll absolutely want to stop by this culinary event. 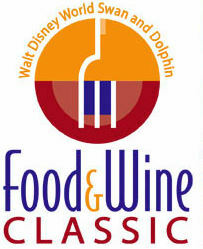 We look forward to sharing the developing and delicious news on the Food & Wine Classic! We’ll see you there!